Both Google Now and Siri now support the use of nicknames for your contacts, so you can quickly get in touch with “mum,” “dad,” “the boss,” or “maverick” more easily than ever. Here’s how to ditch those long-winded real names and get your nicknames set up instead on Android and iOS. In the Google app for Android head to the main menu, then choose Settings, Accounts & privacy then Nicknames to read the instructions for the feature. You basically just activate voice commands and then say “call mum” to define who mum is. To set a nickname manually, head to the Contacts app and add it to the relevant contact (tap the Edit icon then More fields to see Nickname). 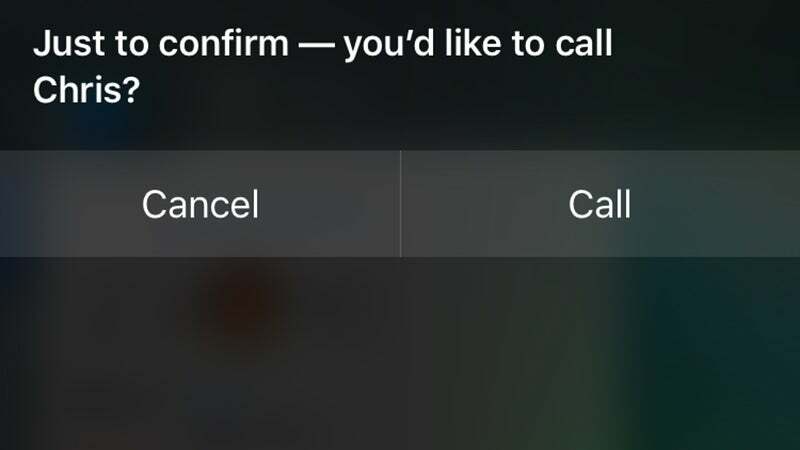 Depending on the nickname, you should be able to say “call” or “text” followed by the moniker you’ve given them—if Google Now gets confused (you aren’t using a common nickname for example) then you might have to tap the Make a call button that appears alongside some other possibilities. The process is even easier over on iOS with Siri: just say “call mum” and you’ll be asked who your mum is for future reference. If you’re using something a little more obscure, you may have to delve into the Contacts app first, but in most cases Siri should guide you through the process. If you do need to manually add a nickname, head to Contacts, open up the card in question and then tap Edit. Custom nicknames can be entered by tapping Add Field then Nickname. Just try and make your nicknames as clear and unambiguous as possible, otherwise Siri might get confused and try and ring a local business instead.